Jointly, the Select Board serves as Chief Executive of the Town. 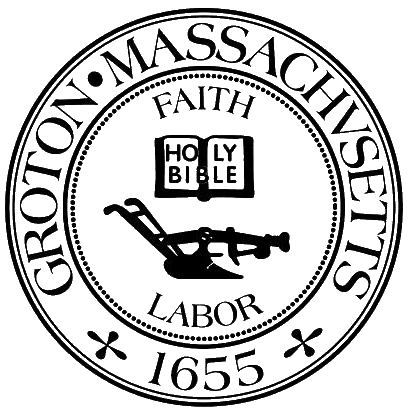 As Groton's principal elective officers, and in addition to their responsibilities under state and local law, the Select Board has general supervision over all matters that are not specifically delegated by law or by vote of the Town to some other officer or board. They are the only officers empowered to enter into contracts on behalf of the town. The term Select Board probably derives from the traditional Select Vestrymen of English towns. After the Town Clerks, the Select Board were the first officials to serve colonial towns. At first, like the Moderator, they were selected at Town Meeting by fellow townsmen from among leading citizens. Afterwards they took their place among the other annually elected boards and officials. The 2018 Spring Town Meeting voted to change the name of the Board of Selectmen to Select Board. The Select Board are served by a salaried Town Manager and executive assistant. One member is annually designated as Clerk of the Board and signs certain official documents, such as the Board Minutes. There is a rotating Chairmanship; the five members of the Select Board are co-equal.